No way! A paper plate tambourine? I DO NOT need more noise in my home! But sometimes a little noise can create a little more sanity. When the kids are busy and playing, you have time for that hot morning coffee and magazine ¦time to check your email ¦time to visit the bathroom alone. Just wear ear plugs! 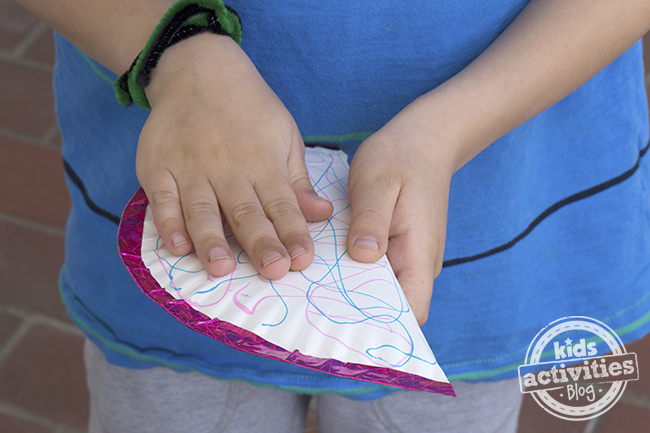 Seriously though, this craft is easy and will keep the little ones entertained for quite a while. Kids who are marching along, pretending to be musicians in a parade are pretty darn cute! 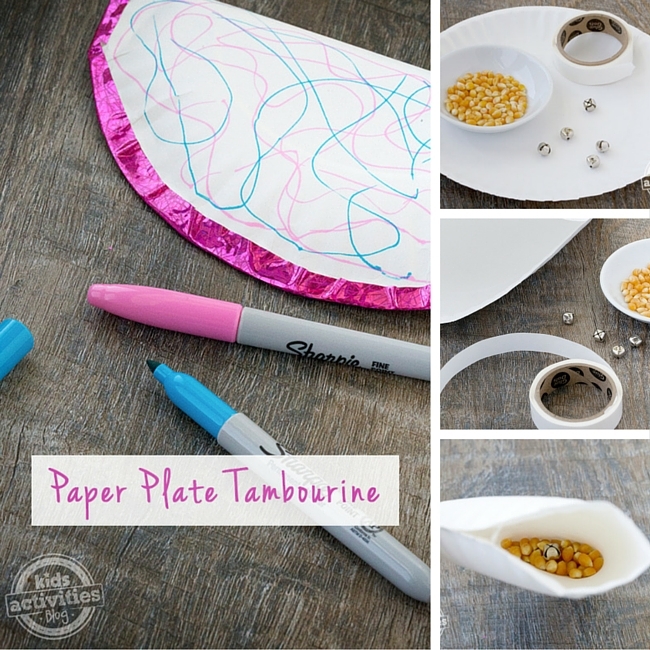 Paper plate tambourines allow children to explore music and rhythm, without breaking your bank. 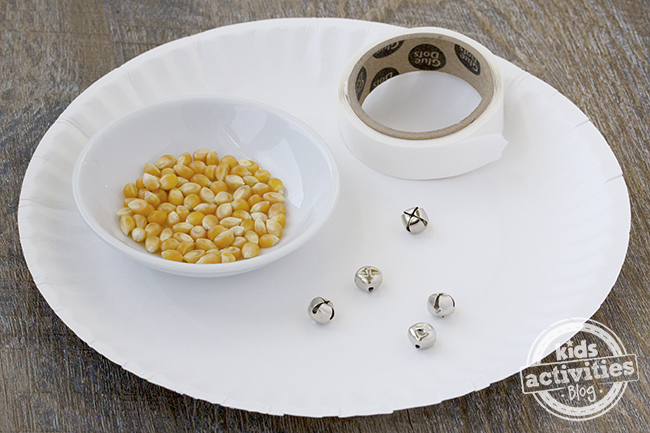 Fold the paper plate in half and begin to seal the edges with Glue Dots. 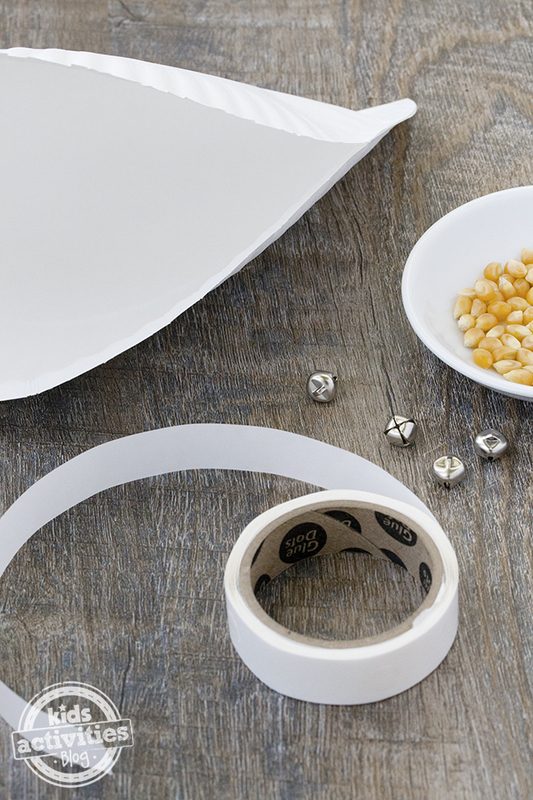 Of course you could use regular glue or even tape, but Glue Dots are easy, effective, and mess-free. 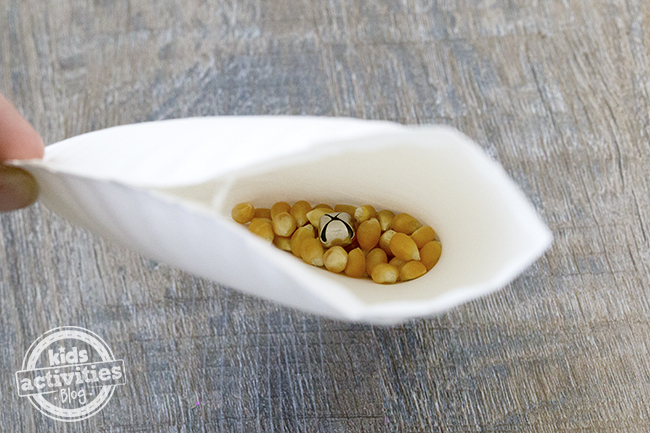 Continue sealing the paper plate until just a small opening is left, then invite your child to pour in a handful of corn and a few bells. 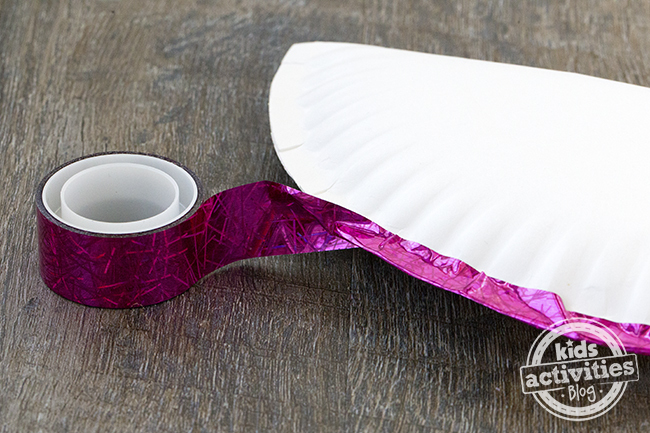 Seal the rest of the plate completely, then wrap the edge of the paper plate with colorful washi tape. 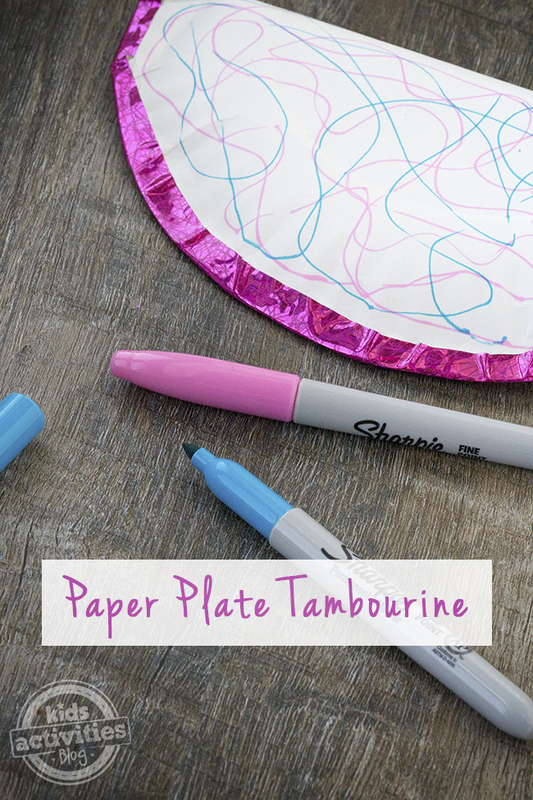 Invite your child to decorate their tambourine with markers or stickers. Invite your child to shake, tap, and drum their new tambourine! 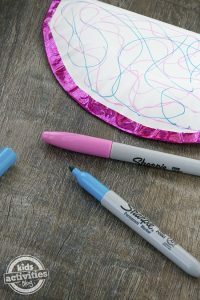 The post Paper Plate Tambourine appeared first on Kids Activities Blog.